This removes non-filesafe characters and converts the image filename to lowercase latin characters. 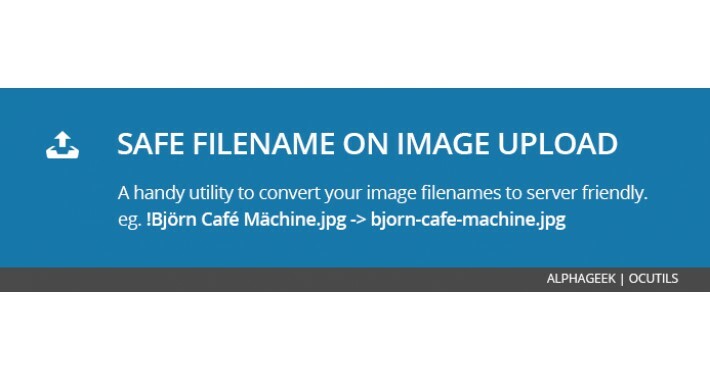 This can become handy if the store manager uses lot of images saved from the internet or gives strange names to image files using unusual characters. This will save you headaches when moving your files from one server to another.